When you own or operate a convenience store, there are certain supplies that are a necessity. Items like displays to show off your goods and refrigerated merchandisers to hold meats and cheeses. 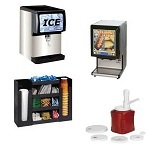 Don\'t forget about the beverage service and snack stations that are a must for any convenience store and its patrons. 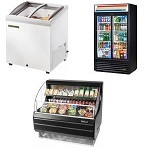 Convenience store equipment and supplies will keep your business running smoothly, whether you have a pack of loyal customers or cater more to random passersby in need of a quick snack. No matter your need, be sure your convenience store keeps everyone happy with the appropriate supplies and equipment. If you own or operate a convenience store, you can buy all your commercial restaurant equipment and convenience store supplies right here! Call our friendly staff and let us help you outfit your market or convenience store. From beverage equipment to merchandising displays and refrigeration, you'll be amazed at our wide selection of equipment and supplies. 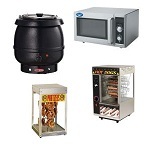 We ship convenience store, market, and mom and pop store food service supplies, equipment and furniture at discount commercial wholesale prices. 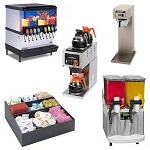 If you need it for your convenience store, Restaurant Equipment Solutions can get it for you. We specialize in commercial restaurant equipment including top of the line commercial refrigeration cases and restaurant equipment. 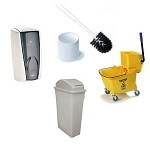 Order your convenience market service supplies and equipment today, call 877-236-5780.